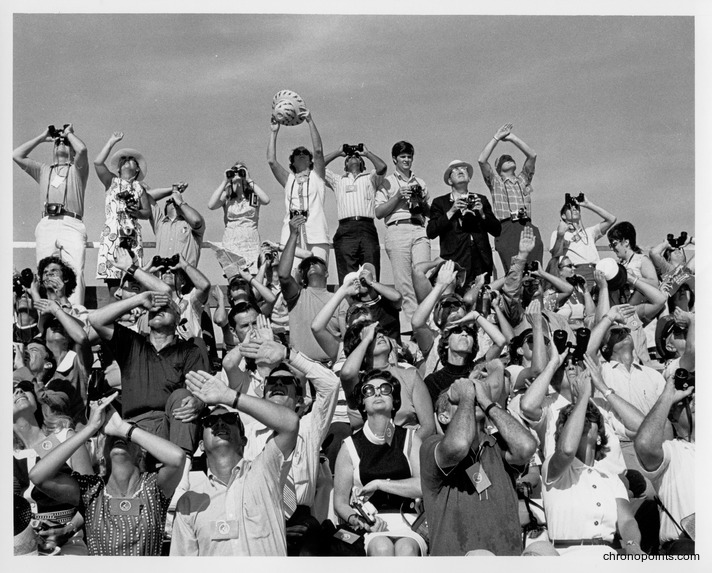 The crowds of spectators observing the launch of Apollo 15 near the Vehicle Assembly Building (VAB). Apollo 15 was the first of three extended capabilities missions, which allowed astronauts greater mobility with the Lunar Rover and additional equipment. The mission was crewed by Mission Commander David Scott (1932-), Command Module Pilot Alfred Worden (1932-), and Lunar Module Pilot James Irwin (1930-1991), and was launched from Launch Complex 39A (LC-39A) at John F. Kennedy Space Center (KSC) in Merritt Island, Florida, on July 26, 1971. Apollo 15 continued on a 12-day mission, including a Moon landing on July 30 and a Pacific Ocean splashdown on August 7. 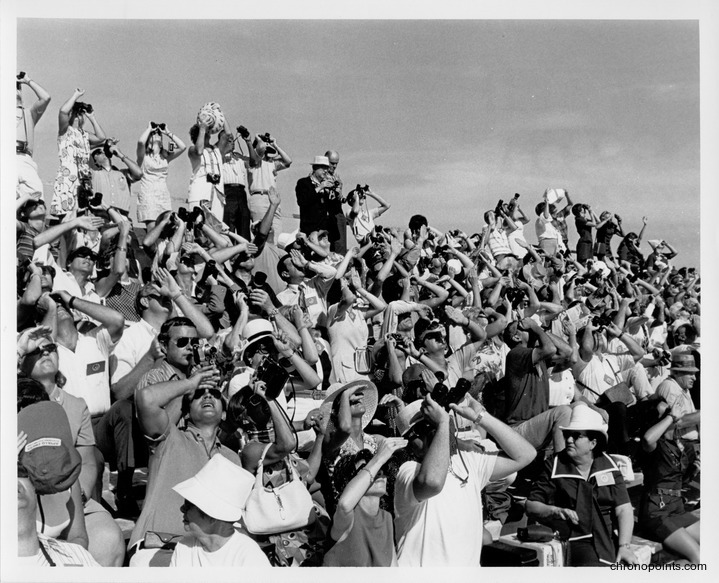 Original black and white photographic prints, July 26, 1971: Larry Summers Collection. 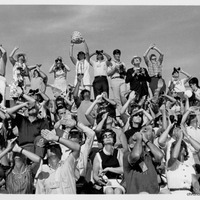 Digital reproduction of original black and white photographic prints, July 26, 1971. Copyright to this resource is held by Larry Summers and is provided here by RICHES of Central Florida for educational purposes only. "APOLLO 15 (AS-510)." Smithsonian National Air and Space Museum. Accessed July 1, 2015. http://airandspace.si.edu/explore-and-learn/topics/apollo/apollo-program/landing-missions/apollo15.cfm. 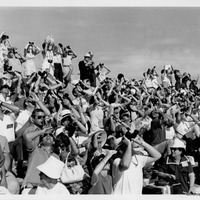 “Crowd Observes the Apollo 15 Launch.” RICHES of Central Florida accessed April 25, 2019, https://richesmi.cah.ucf.edu/omeka/items/show/5976.